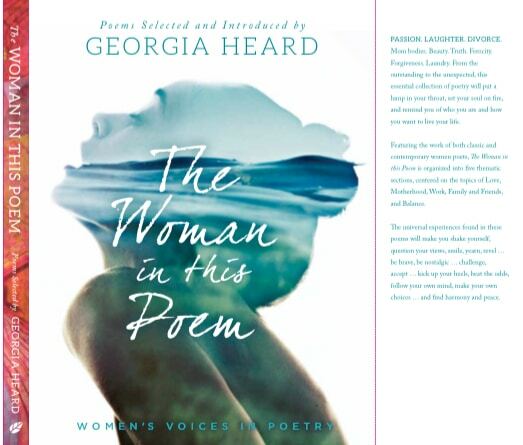 One of the reasons to invite poetry into our lives and into the lives of our students is to meet our invisible guests—grief, joy, anger, doubt, and confusion. 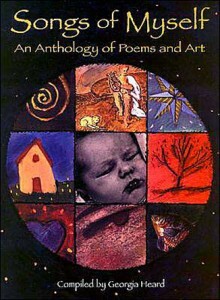 We read and write poetry from this deep hunger to know ourselves and the world. 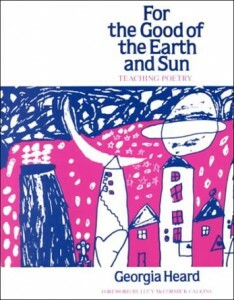 Why Teach Poetry in Schools? 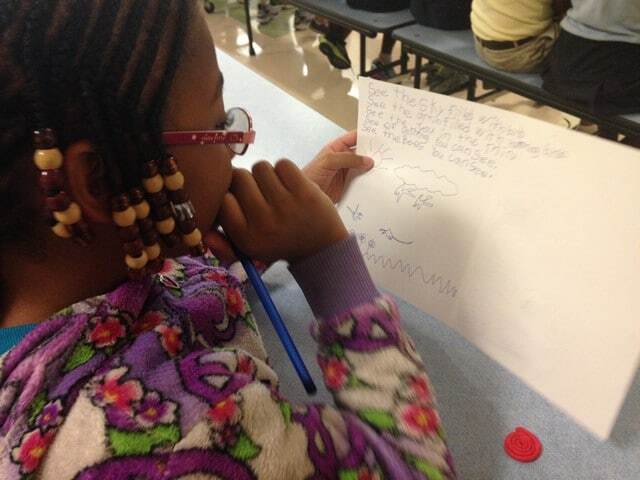 Poetry is a highly effective way to promote fluency. 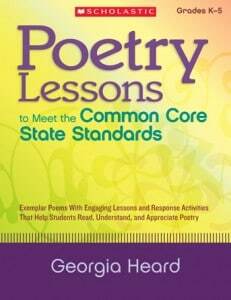 Poetry’s short, spare, and concise format is often more manageable to read, especially for struggling or reluctant readers. 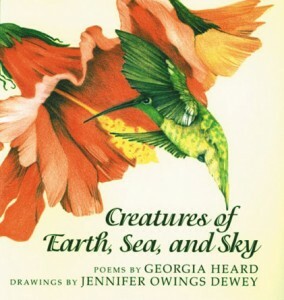 Poetry’s range of subject matter is vast and varied, and can help build children’s interests for writing. 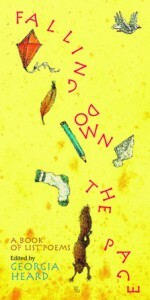 Poetry demonstrates rich, precise, imaginative language. 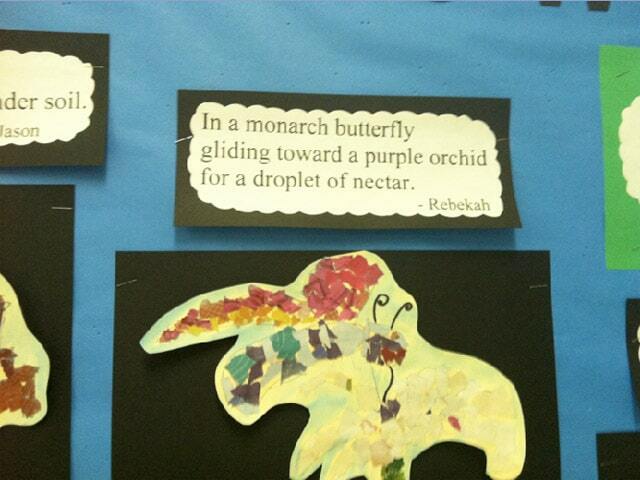 Through poetry students can practice inferential thinking in text that is short yet filled with meaning. 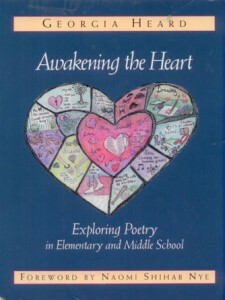 Poetry gives voice to children’s feelings about themselves and the world, and helps them make a personal connection to literature. 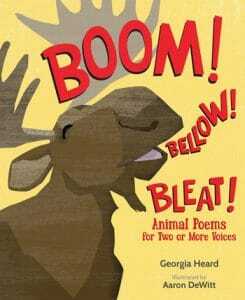 Poetry can help create a more relaxed and positive classroom atmosphere. 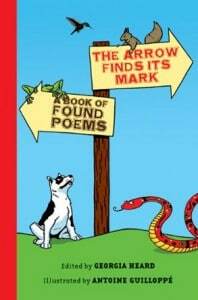 Where Do I Find Poetry? in, out, and all around. 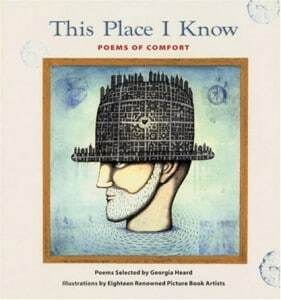 Ask students where they find poetry in their lives? 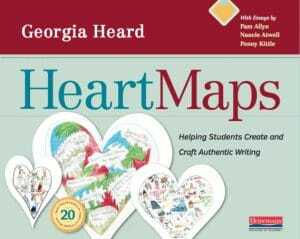 Write a whole class shared poem, writing down specific places where students find poetry, or students can write their own independent poems. 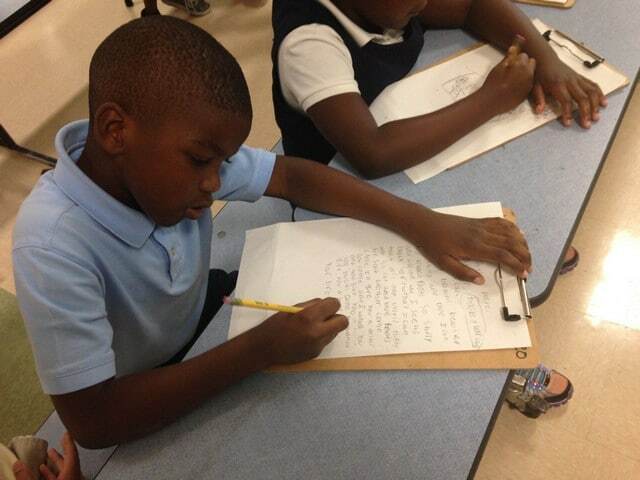 Young poet from North Ward Elementary School in West Palm Beach, Florida hard at work writing a poem. 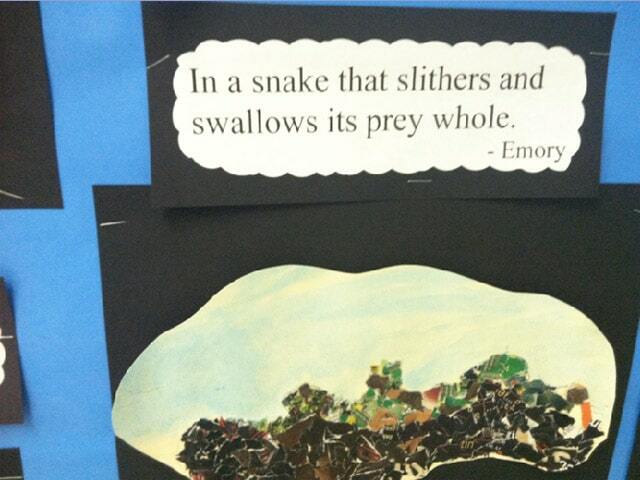 In Country Hills Elementary School Coral Springs, Florida, first grade students were studying animals. 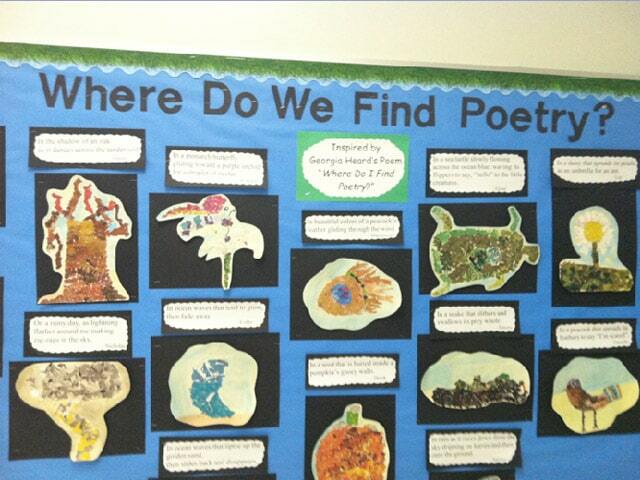 Look at all the poetry they found!